Our high quality, low cost solutions have caught the imagination of printing, design and sign companies nationwide. Now a machine that can do most common folds automatically at a great price. 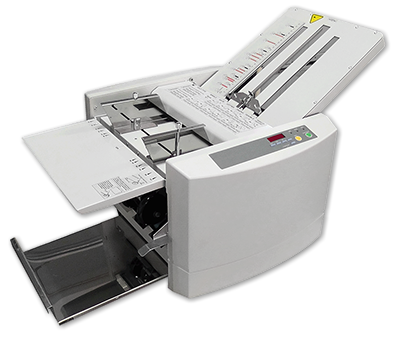 The Easy Folding Machine has been designed from the ground up to be a useful and productive addition to any print room. It can take a stack of paper from around 60gsm to around 180gsm and fold it in a number of ways. The Easy Folder will fold most fold patterns including half fold, letter fold, Z fold, gate fold, engineer fold and double fold. The only limit is that the minimum fold length is 4cm.